Whatever the size of your fleet a Business Account is perfect for you. With over 235 centres throughout the UK, National can provide one point of contact for all your needs. Our mobile and call and collect options give you greater flexibility and keep vehicle downtime to a minimum. We take the strain of keeping you and your colleagues on the road. Did you know that almost 20% of cars have illegaltyres? 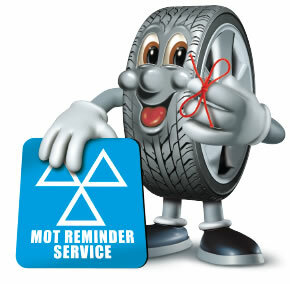 The four postcardsized ‘footprints’ of yourtyres are your only contact with the road. That’s why we will check all of your tread depths, including the spare. Did you know that when you start your engine especially from cold, significant amounts of water and corrosive chemicals areproduced as a by-product of combustion? We can give your exhaust system a general inspection. Did you know that flat or faulty batteries are the No. 1 reason for an AA call out? To prevent the inconvenience and disruption that a flat battery can cause, we can test your battery’s charge. The most important safety component of a car is its braking system. 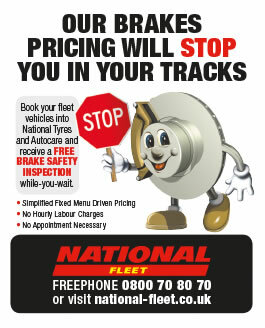 At National we can visually examine your braking system ensure there are no obvious defects. for up to 56 days. That’s 0% APR. With over 235 centres throughout the UK, there’s a local National near you. For added convenience, many centres now offer a call and collect and mobile service. All work is covered by National’s comprehensive range of guarantees and no matter where your vehicles are, they will be honoured at any of National’s centres. National could be your one stop shop for tyres, exhausts, batteries, brakes, steering and suspension, oil and filter changes and MOTs. We can look after your entire maintenance requirements. As a valued National Account customer, we’ll communicate with you first with details of special offers, money off coupons and free checks. This is exclusive to Business Account customers. If your e-mail address is found in the system then you shall receive an e-mail containing your requested details.